Most corporations require all marketing materials comply with their identity standards. Establish standards and clarify usage boundaries through formatted guidelines so your company can maintain a consistency and therefore strong brand identity. 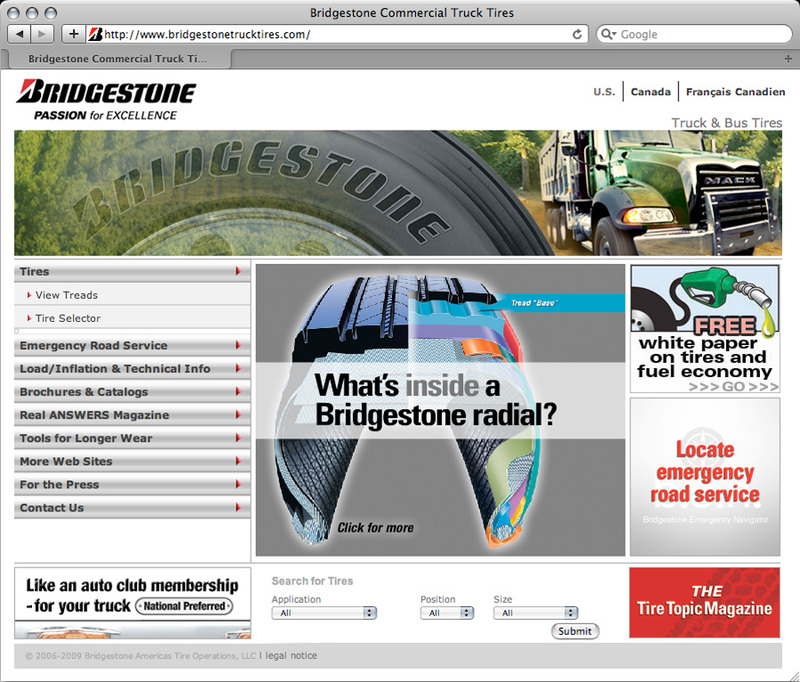 Bridgestone, a global 500 company based in Japan has very strict design branding standards. 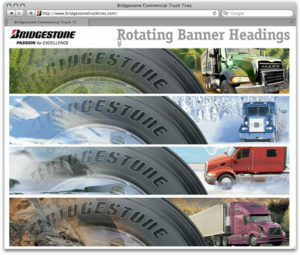 Ncutt designed Bridgestone truck tire’s intricate website and collaborated with their in-house marketing and IT departments to oversee the quality of production. creative value: Consistency in brand image matters — it's your personality. Don't split it.